Chances are you close to a Wi-Fi network and want to connect it but sadly find there is a lock next to the name. Without the password, you can’t get access to this Wi-Fi network. In this article, we will share the top 5 Wi-Fi password hacking software for you to hack Wi-Fi network anytime anywhere you need. Note: Hacking wireless networks to get unauthorized access may have possible security risks. So do not hack Wi-Fi network for illegal works or in a risky place. Smartkey Wi-Fi Password Recovery is one of the best Wi-Fi password hacking software for Windows 10/8.1/8/7. 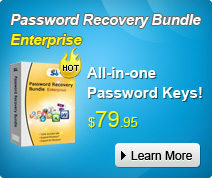 With 5 advanced Wi-Fi password recovery methods (Dictionary Attack, Word Attack, Mask Attack, Combination Attack and Hybrid Attack) Wi-Fi Password Recovery can recover all types of Wireless keys or passwords, including WEP, WPA-PSK and WPA2-PSK text passwords, no matter how strong they are (support up to 64 characters). Learn about how to hack Wi-Fi password with SmartKey Wi-Fi Password Recovery. 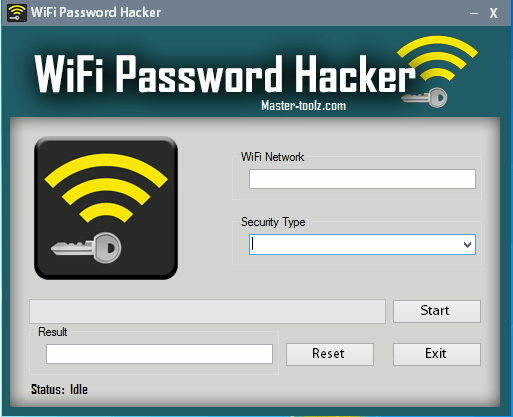 WiFi Password Hacker is an free Wi-Fi password hacking software that can hack any security and break password. It track connection and generate password from connections. You can use this password and access near Wi-Fi connection. It gives you option to secure your own WiFi connection as well. 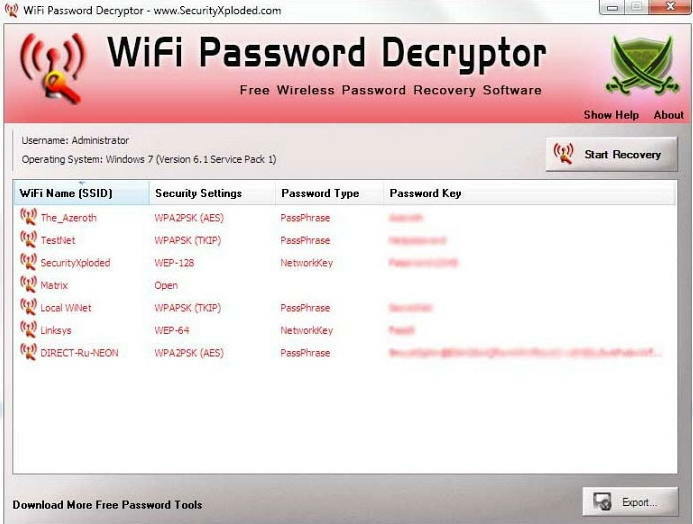 Wi-Fi Password Decryptor is the free Wi-Fi password hacker to instantly crack all type of Wireless Keys/Passwords (WEP/WPA/WPA2 etc) stored by Windows Wireless Configuration Manager. The best part of Wi-Fi Password Decryptor is that it uses System Service method (instead of injecting into LSASS.exe) to decrypt the WiFi passwords, which is more safer and reliable. Kismet is the wi-fi 802.11 a/b/g/n layer2 wireless network detector, sniffer, and intrusion detection system. Kismet identifies networks by passively collecting packets and detecting standard named networks, detecting (and given time, decloaking) hidden networks, and infering the presence of nonbeaconing networks via data traffic. However, Kismet is a bit outdated now, and the project hasn’t released anything new since 2013. Wireless Password Recovery is a utility for analyzing the security of your wireless networks and recovering WPA / WPA2 passwords. Basically Wireless Password Recovery is used for finding and identifying weak spots of your wireless network, conducting audits of its security, recovering forgotten WPA-PSK (Pre-Shared Key) and WPA2-PSK passwords of your home network. 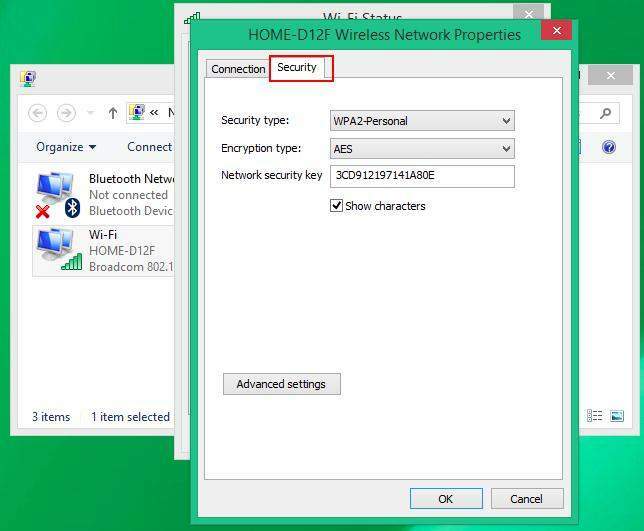 To sum up, I have introduced 5 Wi-Fi password hacking software for Windows 10/8.1/8/7/Vista. I hope these tool can help you enjoy a free wireless network whenever you need. And if you have any popular wireless hacking and password cracking tools, please share with us at the commend place.